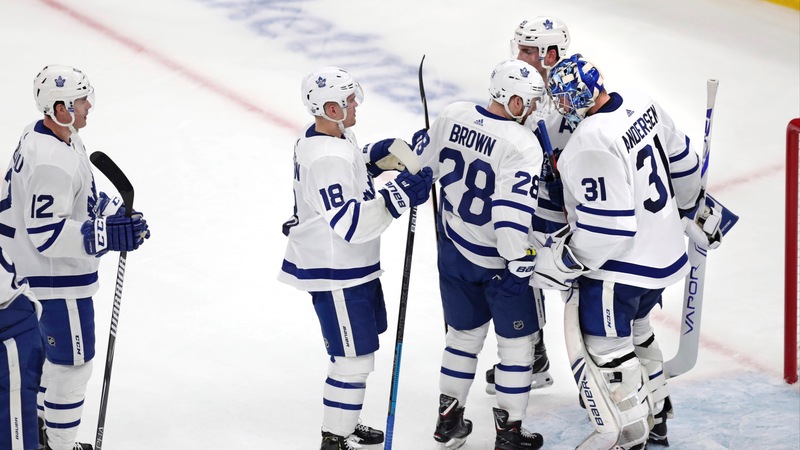 Three series underdogs lead the four Eastern Conference playoff series entering Saturday, including the Maple Leafs, who took Game 1 in Boston on Thursday. OK, so I lost Friday. Sue me. Actually, please don't. I lost all my money [betting the Lightning](https://www.betchicago.com/stanley-cup-playoffs-odds-picks-penguins-lightning-game-2-april-12). Three [series underdogs](https://www.betchicago.com/nhl-stanley-cup-playoff-series-odds-knights-sharks-2019) lead the four [Eastern Conference playoff series](https://www.nhl.com/stanley-cup-playoffs) entering Saturday, including the Maple Leafs, who [took Game 1 in Boston](https://www.thescore.com/nhl/events/21618) on Thursday. Expect the trend to continue Saturday, when Toronto skates with the Bruins at 7 p.m. CT on NBC. __MORE:__ [Our complete Stanley Cup Playoff betting coverage, including past picks](https://www.betchicago.com/nhl-betting) ## Stanley Cup Playoffs Saturday Game 2 picks The Maple Leafs are +130 underdogs at the Westgate SuperBook and the Wynn as of midday Saturday to take a 2-0 series lead on the road -- a daunting task, but one I see happening after Boston couldn't seem to keep up with the speed of Toronto's top line in Thursday's 4-1 loss. Mitch Marner was especially hard for the Bruins to corral, as he created a shorthanded chance that led to his penalty-shot goal. <a href="https://www.youtube.com/watch?v=uQwxIR8VSZo" class="embedly-card" data-card-width="100%" data-card-controls="0">Embedded content: https://www.youtube.com/watch?v=uQwxIR8VSZo</a> Marner, only 21 years old, has really come into his own in his third NHL season, amassing 94 points in the regular season and a +22 rating. He had 130 points combined in his first two seasons with a -1 plus/minus. He's been a strong complement to free-agent John Tavares on the top line, with fellow phenom Auston Matthews (also 21) holding down the second line. The Leafs had a rough last month or so of the regular season, losing 10 of their last 15 games. But it appears they've locked into playoff mode and could be in for a deep run. The franchise is starved for success after not getting passed the first round since 2004 and not winning the Cup since 1967. But it could be a fun spring north of the border beteween them and [the Raptors](https://www.betchicago.com/saturday-nba-playoff-odds-lines-betting-preview-nuggets-spurs). The Bruins have lost three straight home games after winning 12 in a row at the Garden. __Playoff pick tally:__ 1-1, up $85 __PLAY:__ Our [free daily contests](https://betchicago.chalkline.com), including [NHL Pick 6 Playoff Challenge](https://betchicago.chalkline.com/games/nhl-pick-6-playoff-challenge), for the chance to win a BetChicago prize pack.